Last night, my wife reminded me that we should look into booking flights to Portland, Oregon to visit her family for Christmas. 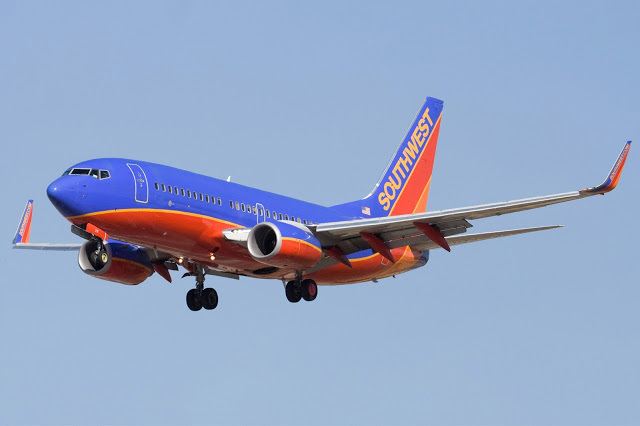 We usually fly Southwest Airlines because they offer direct flights, free baggage check, and we can transfer our Chase Ultimate Rewards points into the Southwest Rapid Rewards points program. Our son will be less than 2 years old so he gets to fly for free. 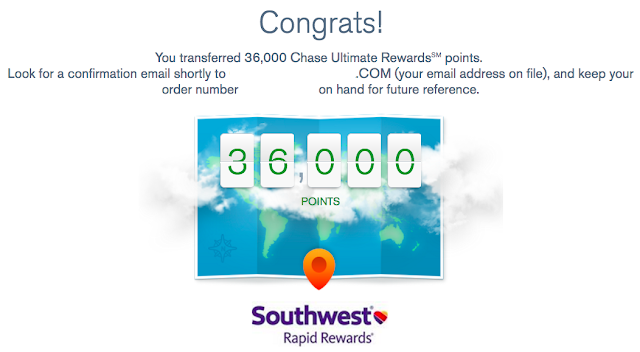 In order to book the tickets, I needed to transfer 36,000 Chase Ultimate Rewards points into my Southwest Rapid Rewards account. I went to ultimaterewards.com and requested the points transfer. Then I logged out of and back into my Southwest account and the points were instantly available. We still have Southwest gift card credit from the American Express Airline fee credit offer and the gift card balance covered the cash portion for our flights. And just like that our two free round trip flights to Portland were booked in less than 5 minutes. If we were to pay for the same 2 round trip tickets with cash, it would have cost us $597.92! Booking flights with points is so fun and easy.